Selecting the right keywords can have significant impact on the volume of daily traffic received by your website. Unfortunately, with Google’s complex search algorithm, multitude of ranking factors that it applies and the potential effects of RankBrain (Google’s new AI system), there is no fixed method that works for everyone. Even so, here are a few strategies that are highly recommended by SEO experts for 2017. KeywordKeg's Amazon Keyword Tool for ecommerce research. Screaming Frog's Spider & Crawler Tool. This is a proven keyword tactic that has withstood the test of time and will continue to serve you well for years to come (if not longer). In this context, it is interesting to note that although long-tail keywords lack the search volume of more generic keywords, together they account for over 70% of all searches and feature a much higher conversion rate. For example, a generic keyword like “learn programming” will favour the entrenched players (existing high-authority sites) whilst simultaneously resulting in a lower conversion rate. On the other hand, more specific long-tail keywords (containing three or more search terms) like “learn python programming free online” will have a much higher conversion rate and raise the chance of discovery for your website. To put it briefly, these less sought after keywords are worth their weight in gold. Select your core keyword (usually called seed keyword) and add relevant modifiers so you get a bunch of niche-specific keyword terms to reach your target audience. YouTube is the second largest search engine after Google with over a billion users. Moreover, its videos tend to rank very well on search engines. Therefore, make sure you create a YouTube channel for your brand where you post high quality videos. Start with identifying your target keywords for which you can use tools like Adwords Display Planner. After you have researched your keywords, fit the most relevant one into your video title, use a couple in the tags and if possible, incorporate a bunch of long-tail keywords in the description without resorting to keyword stuffing. Aside from optimising your videos for certain keywords, identifying the right keywords for your brand can come in handy for paid advertising campaigns. Leave the high competition and expensive keywords to Fortune 500 companies who can afford to pay for such keywords. Focus on finding cheaper long-tail keywords/key-phrases as they can drive targeted traffic to your site at a fraction of the cost of generic keywords. Even before you started building an SEO strategy, chances are that you were closely watching your competitors. This holds especially true for keyword research in a given industry as it indicates which keywords work and which do not. There are several tools that you can use to figure out your competitors’ search marketing campaigns and leverage this to your advantage. SpyFu is one such tool that gives you information about your competitor websites’ most profitable keywords for both organic and paid search. If you want more detailed information, SEMrush is a great way to gain insights about their best performing keywords for organic searches as also ads, domain positions, keyword rankings and traffic volume. The best part is that this tool is free to use although it is advisable to upgrade to the paid version if you want more detailed information. For researching about your competitors’ organic content strategy, it is undoubtedly one of the best tools out there. 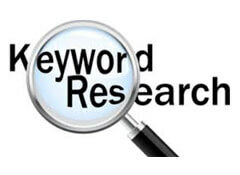 It would be criminal to understate the value of using online tools for keyword research. Sure there are several free tools out there like UberSuggest that generate a list of related keywords for a given seed term. However, they simply do not give you the information you need to plan your keywords for optimal results. Moz’s Keyword Explorer is a paid tool that is highly recommended especially if you value having access to as much data as possible. Apart from helping you identify long-tail keywords, this tool gives you a variety of metrics to help you stay ahead of your competitors. Among other things, it gives you access to search volume ranges, SERP (Search Engine Results Page) analysis, difficulty score based on domain authority, visibility score, and competitor rank tracking. Admittedly, there are plenty of free tools that you can use to generate keyword suggestions, but if you want to build an SEO strategy on solid data, then you should use a paid tool that gives you access to a range of key metrics for successful keyword research.